When Jesus entered the house of Zacchaeus, the people complained that Jesus went to the house of a sinner. Zacchaeus was a wealthy tax collector and, beyond his physical stature, we know little about him. The community apparently branded him a sinner to be avoided. Before Jesus, Zacchaeus acknowledged a willingness to make amends. 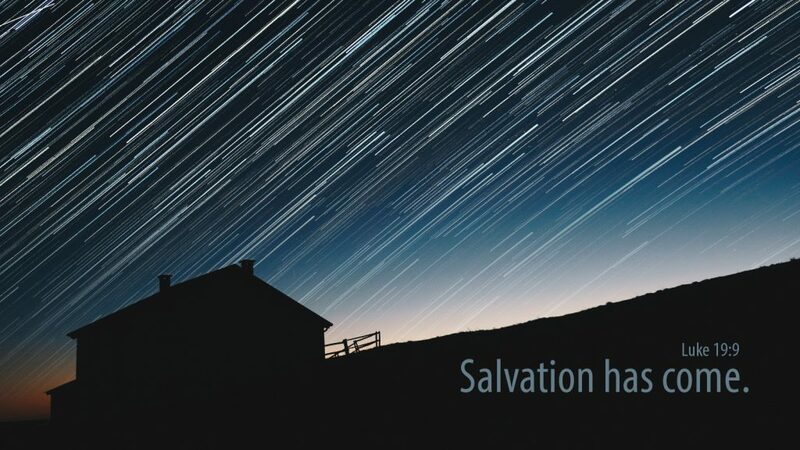 Jesus responded stating salvation had come to Zacchaeus’ house because Jesus came to seek and save that which was lost. Jesus still seeks the lost and he has commissioned us, his faithful followers, to assist in the process. He or she may be a complete stranger or someone you know. Whatever the situation, the Lord has gifted you with the perfect demeanor, experience, words, or loving expressions that are uniquely suited for those whose path you will cross. Are you prepared for the ministry God has set before you? Crack open and study the Bible. Set your pre-judgments aside, pray for God’s guidance, and begin today. Time is passing by and so are many ministry opportunities. Someone is waiting to see Jesus before he passes by, someone who cannot climb trees. You can provide the boost he or she needs that will allow Jesus to be seen. Prayer: Lord Jesus, grant me courage to say and do what is needed to allow others to envision you in their lives always. Amen.